High performance ruggedized computer resistant to shock with expansion options. The Extended Temperature AU912 takes high-performance computing to a whole new level. Touting the advanced Intel Core i3/i5/i7 processing platform in a ruggedized, fanless enclosure, it has the ability to withstand extended temperatures of -20°C~55°C and is resistent to shock and vibration.  The barebone features rich, versatile I/O including dual Gb LAN, up to 4 RS-232 COM support, Digital I/O (Parallel port with included cable), VGA, DisplayPort, and watchdog timer. It also has two expansion slots below the mainboard allowing for PCI Express x16 and x1 expansion in a compact space. Wireless connectivity is available via the PCIe Mini Card interface along with front access to high-speed embedded flash storage using new CFast technology. The AU912 can easily meet the challenges of medical and industrial applications including remote monitoring, data acquisition and surveillance, fleet management, and high-end automation while consuming less than 60 watts of power and maintaining quiet, cool operation. 7.68" x 4.33" x 10.55"
If you choose both a CFast Card and HDD, please specify on your order which drive you will like to use for the OS install. For an OS install on CFast, only Windows Embedded Standard is available or other embedded OS.